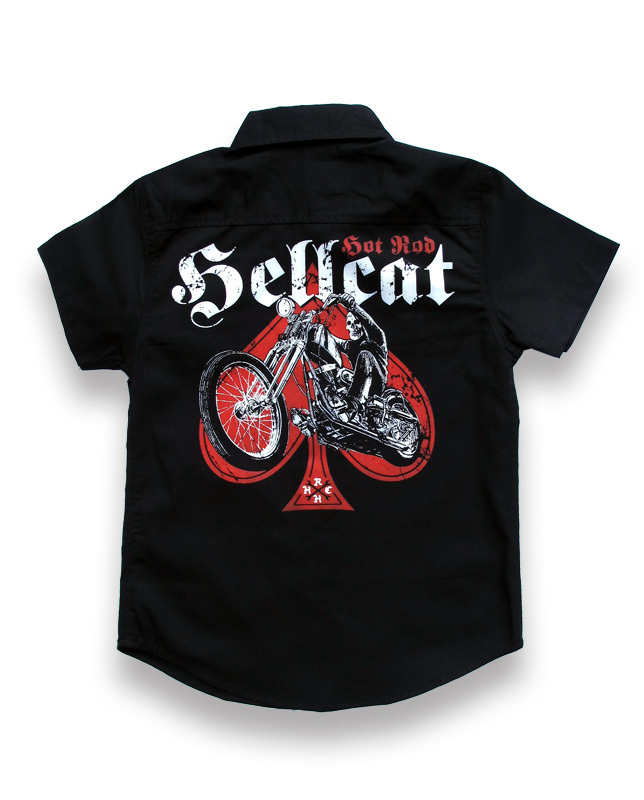 Love a little bit of poker? 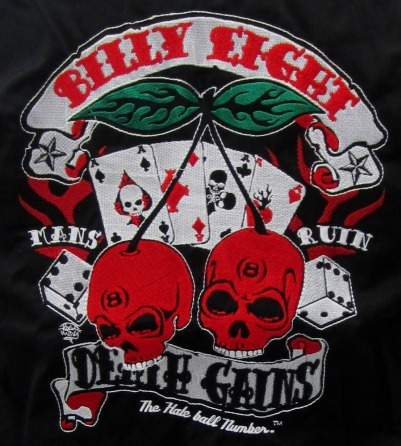 Show off your love for the game with this Billy Eight design. 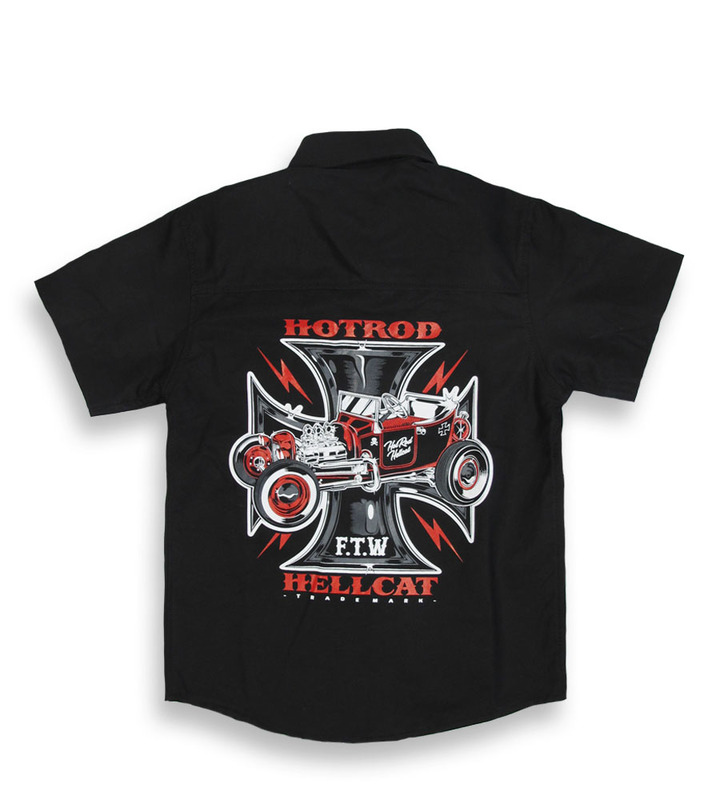 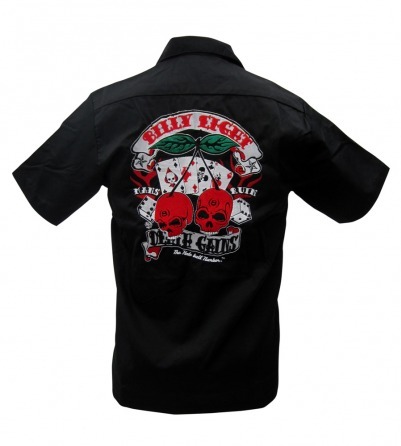 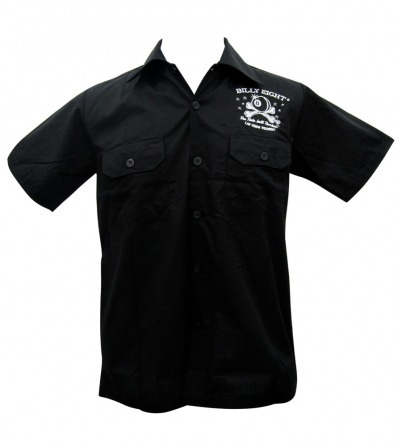 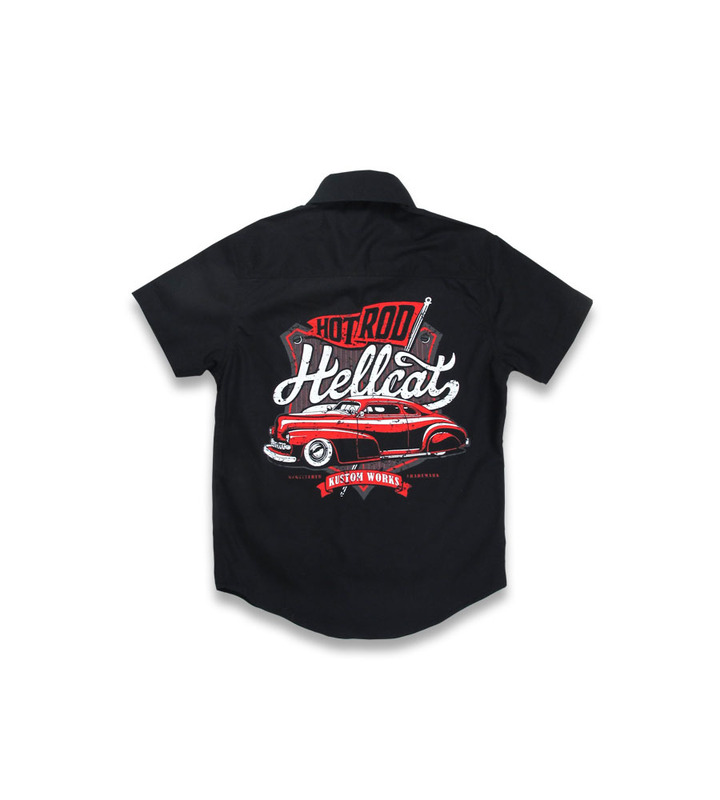 This “Death Gains” men’s black collared work shirt features skull cherries, a deck of cars, a pair of dice, and other tattoo inspired designs.